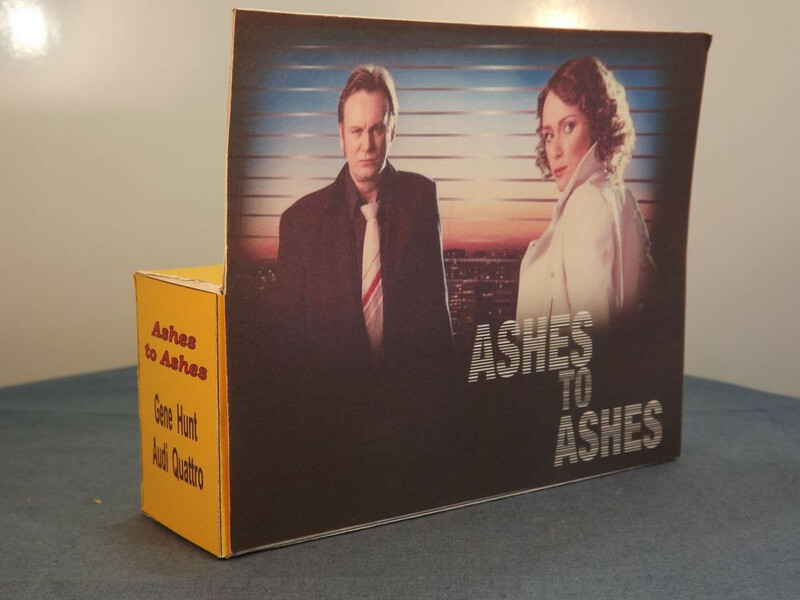 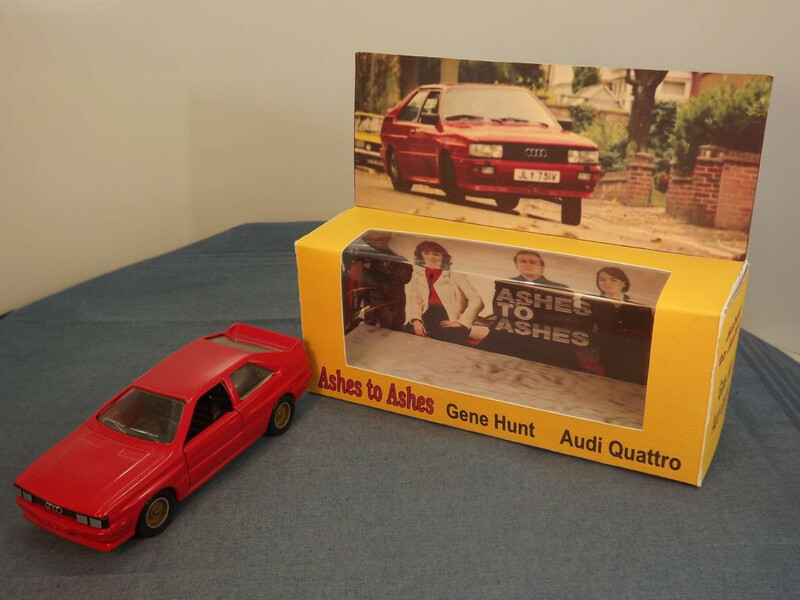 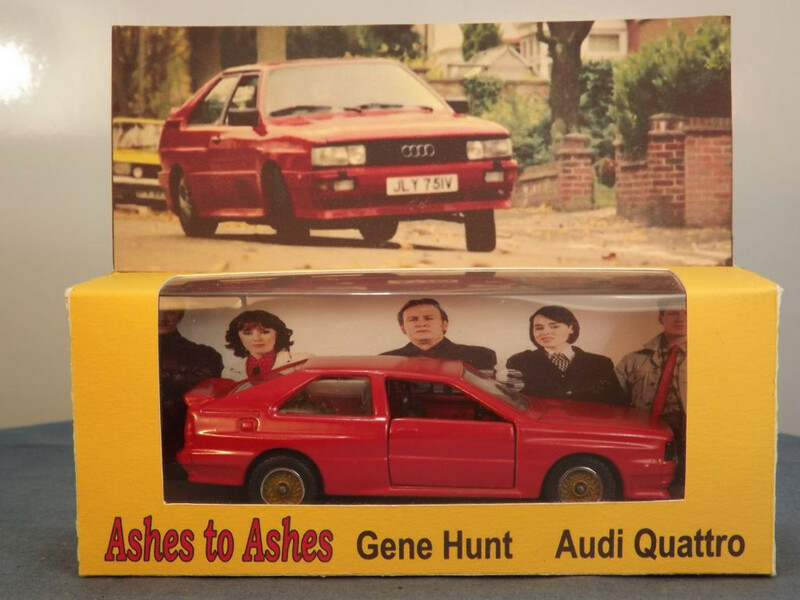 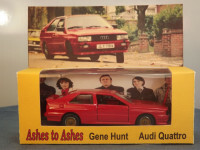 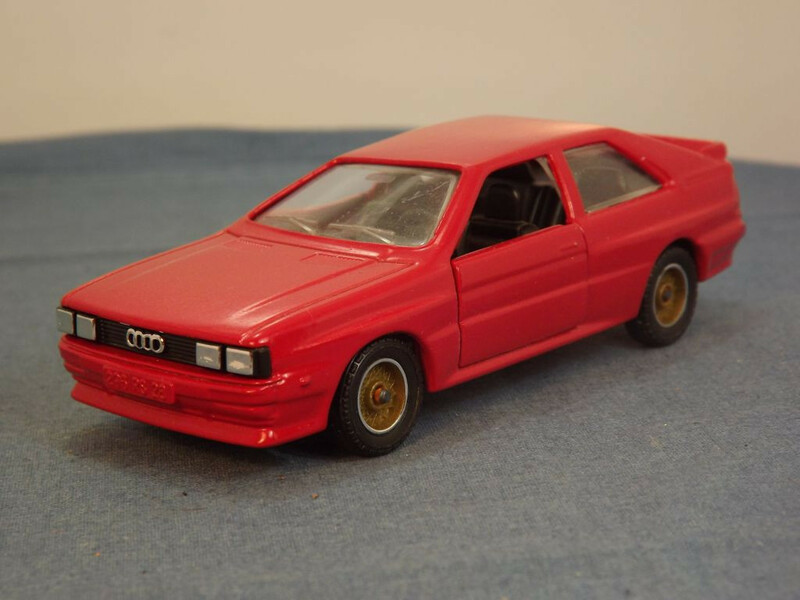 This model is the Ashes to Ashes Audi Quattro in red as driven by Gene Hunt (Philip Glenister) in the TV series. 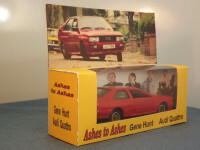 This Code 3 item was made by a German enthusiast and comes in a specially designed cardboard display box featuring scenes from the series. The model is based on a left hand drive Solido Audi Quattro (the car used in the series was right hand drive). 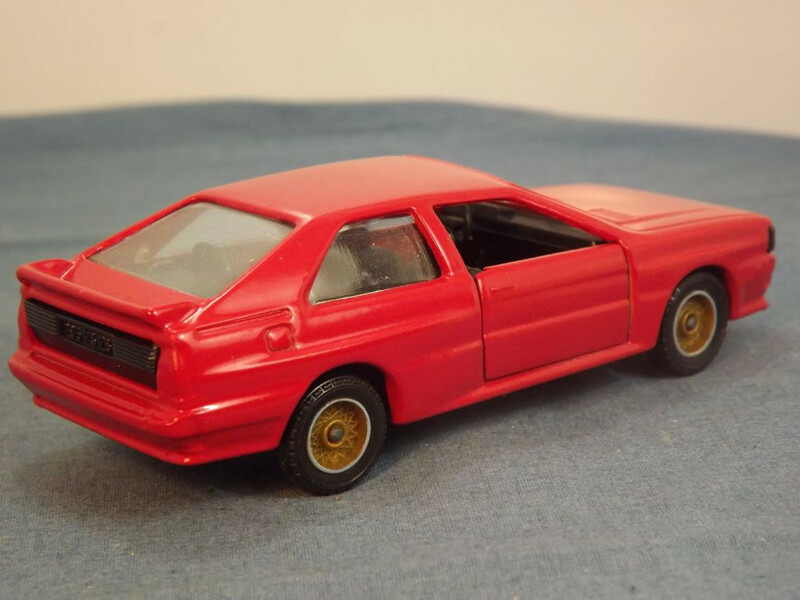 It has a red body with certain details cast in to the body casting (bonnet, vents, petrol caps),separate opening doors, and black plastic grille and silver headlights that are actually part of the all black interior casting. The glazing is clear with the front wipers and rear vision mirror and rear window heater cast into the glazing. 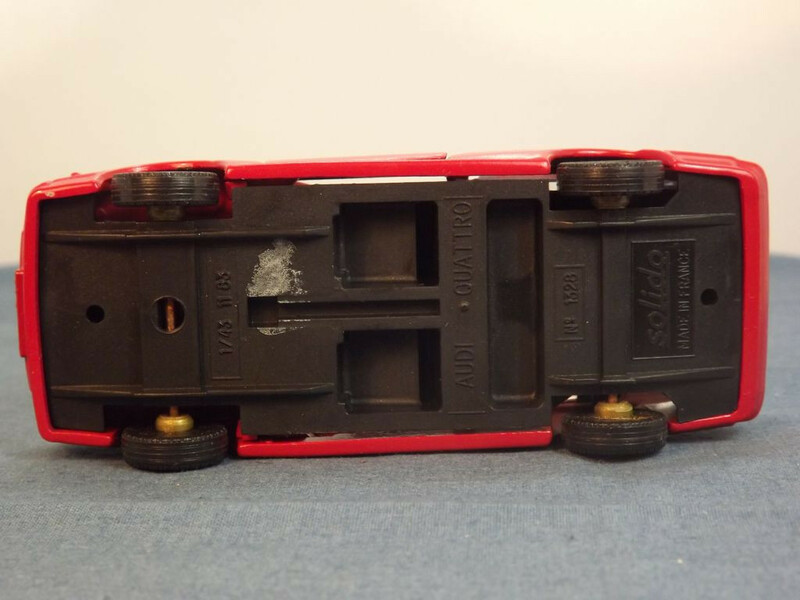 All wheels are one piece plastic castings, with a chromed wire wheel "hub" insert, on metal axles. 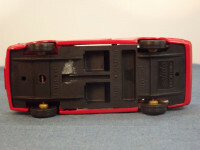 The base plate is in black plastic (actually the underside of the interior casting) and is marked with "Solido, Made in France" behind the rear axle, "No. 1328" forward of the rear axle, "Audi Quattro" in the centre and "1/43 11 83" just behind the front axle. The base appears to be press fitted to the body casting. 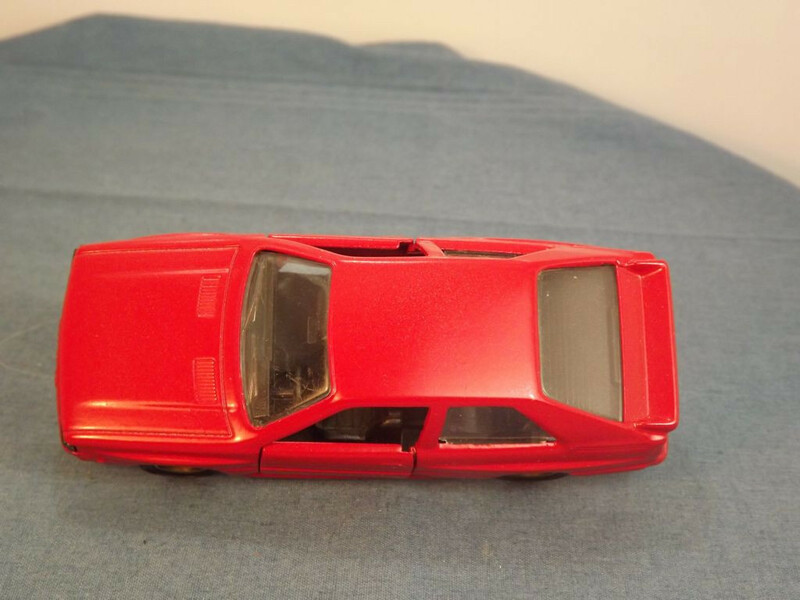 This code 3 model was created around 2016.